Use of Zero Drivers designated driver services are subject to and conditional on the following terms, conditions and mutual obligations being accepted by both customers and drivers. At the time of booking a destination address will be required and notice of any intended detours or stop-offs en route is appreciated. For bookings in particularly busy city locations, any details such as a safe meeting/pick-up point or the exact location of your vehicle, with details if they apply:- such as security gate codes or special car park access instructions is appreciated and goes a long way towards ensuring a smooth pickup. If you have downloaded the Zero Your Personal Driver App- you will be able to see your drivers vehicle on the map as it approaches the pickup point; your driver will call or sms that they are approaching and unless otherwise agreed they will not attempt to locate you by entering premises or property and will meet you outside at the pickup location or at your vehicle. If you favour a particular driver you can note them in order in your ‘favourite driver’ section - that way they will automatically be notified and whenever possible - give you priority every time you make a booking! As a courtesy Zero Drivers will allow customers 5 minutes of waiting time. If after that time you have not met with the driver they will commence calculating ‘Waiting Time’ at an additional cost of $1.10 per minute. Should you wish to extend the standard 5 minute waiting periods - please let your driver know immediately - if their schedule permits they are most often happy to oblige (additional fees will apply). In order to make a booking, you will be required to supply Valid Credit Card details. We accept Visa, Mastercard or American Express (AMEX). A Tax Invoice will be emailed immediately following a trip if a valid email address has been provided at the time of booking. All Tax Invoices carry a breakdown of costs including the GST component (and any surcharges, wait time, tolls, etc), with merchant fees included in the total cost of the service. A Pre-Authorisation of $1.00 will be charged immediately prior to all booked trips. This will generally be refunded within 10 working days (subject to your credit card provider). The transaction on your statement will appear as "ARMT Investments Pty Ltd T/A ZERO DRIVERS". Gratuities or ‘tips’ are entirely at the discretion of customers and should not be negotiated to replace standard fees and charges. Trip cost estimates are based on the shortest distance between suburbs - unless there is State Highway alternative route - in which case the software calculator will default to suggesting that route. Final fees are calculated on the actual kilometres travelled plus the rate per minute (duration) of the trip combined, plus any tolls, wait time or additional fees incurred, such as car park entry fees incurred by the driver. At the discretion of the driver, waiting time rates or a fee per stop may be applied to any detours or extended stop offs between the pickup address and destination point. Professional Drivers are available for Tours, Round-trip and Extended Services. Pricing starts at minimum 3 hours ($99 p/h) and is negotiable at time of booking for longer periods. A Night Rate Surcharge of 20% applies to all trips booked between 11.55pm and 6am. ** Please be aware that individual drivers may have other commitments and may not be able to accommodate extended waiting periods. If you require an extended waiting period or reschedule a booking and another driver needs to be dispatched later, a cancellation fee may be incurred for the first booking. We understand that things don’t always go to plan - please advise your driver immediately of any change in plans or unforeseen delays as required and we will endeavour to assist where possible, drivers are generally able to reschedule a booking with sufficient notice (subject to availability). In the event of postponement or cancellation of a job once the driver has already been dispatched, arrived at pick up, or within 60 minutes prior to scheduled pick up - a fee equivalent to the minimum charge (from $49.00) for the service level that was booked will apply. Additional fees may apply on long-distance trips where the driver is already dispatched. In the event that the driver has arrived at the pickup, and no response / acknowledgement is received from you or you fail to show within 15 minutes of the scheduled pick up time - the booking will be deemed to have been cancelled. Bookings cancelled within 2 hours of scheduled pick up on Friday & Saturday and Public Holidays may be subject to fee equivalent to the total estimated trip. Bookings cancelled same day on Public Holidays are subject to cancellation fee of $69.00 (Christmas Day $99.00). It is our inherent assumption that in booking the services through ZERO DRIVERS either by calling 1300699376 or booking direct via the App / Website for a driver to drive your vehicle, that your vehicle is fully compliant with the state government registration, roadworthy and insurance-related legislation and carries Full Comprehensive Insurance. Accidents involving Third Parties, Property Damage or Personal Injury must be reported to the appropriate authority. Third Party at Fault - All claims where a third party is at fault are made on the Customer’s Insurance Policy and the Company will not be liable for any repair/replacement costs. Designated Driver at Fault - All claims where the contracted driver is at fault are made on the Customer’s Insurance Policy and the Company will not be liable for any repair/replacement costs. Uninsured Vehicles - If the Customer’s vehicle is uninsured and the contracted driver is at fault, the Company will not be liable for any costs whatsoever. Excess Fee/Minor Damages - Where the contracted driver is found to have been at fault, the driver is responsible to pay the Customer’s Insurance Policy excess fee up to the value of $1,000.00; or may offer goodwill up to $750.00 for minor damages made payable to an accredited vehicle repairer mutually approved and selected. Traffic Fines - Company drivers are bound by Australian laws. Any traffic infringements will be the responsibility of the contracted driver if the infringement is incurred during the provision of the services. All incidents involving personal injury, serious damage to vehicle/s or personal property are expected to be reported to the appropriate Authorities at the time of the incident. Drivers are expected to notify ZERO DRIVERS at their earliest opportunity; during business hours on 1300 699376, by email to info@zerodrivers.com.au or via the an after-hours emergency contact number. It is suggested that all parties involved take as many photos of the situation as possible at the scene and at the time, as well as take note of any witness’s names and phone numbers. Customers are cordially requested to also report any incident causing concern directly to ZERO DRIVERS within 24 hours of the event. Contact can be made via email to info@zerodrivers.com.au or by calling 1300699376 and requesting a call back within 24 hours from the CEO. These procedures will assist with a speedy resolution in the unlikely event of a driver being at fault in an incident occurring. Claims of a more serious nature must immediately be referred directly to ZERO DRIVERS. No further liability for injury, loss or damage is implied or accepted by ZERO DRIVERS. Our drivers are selected based on their Customer Service Ethic, Excellent Driving Record, and Deference. 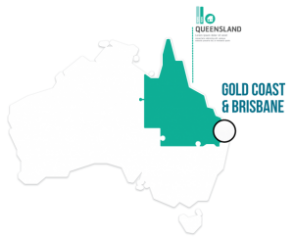 All our drivers are at least 30 years of age, and hold an Industry Authority or Professional Licence (issued in their state or territory). As a minimum, this includes a Comprehensive Driving History Check, a Police/Criminal Background Check and a Medical Assessment as well as a personal screening interview before being accepted as a partner driver. They are committed to providing you with a discreet and safe personal driving service. We have a strict zero alcohol policy for personal drivers and their co-drivers. We demand a high standard of personal presentation and a strong emphasis on customer-focused service. Drivers are also cognisant of and respectful of the privacy of individual customers and are under covenant not to discuss the personal movements or any matter in relation to customers personal behaviour they may witness; this excludes any concerns or misgivings regarding the personal safety related to or lawfulness of activities witnessed which may be divulged to ZERO DRIVERS management and /or the relevant authorities. Whilst driving for you in your own vehicle, your driver is legally in charge of that vehicle and as such is responsible for your safety and that of any other passengers present, as well as that of other road users. Please be respectful and assist with any requests by him or her to ensure compliance with road rules and /or your safety and comfort. All passengers are expected to comply with road rules and legislative regulations in the state or territory in which the service is provided and exercise common etiquette towards your Zero Driver. Drivers are not authorised to carry unsupervised minors unless accompanied directly by their parent or guardian. Failure to comply with our mutual Code of Conduct may result in access to services being denied. Should your Zero Driver determine that either their safety or dignity has been, or is under threat of being compromised by the behaviour of a passenger/s - they reserve the right to decline a pick up or terminate a service once it has commenced - without recourse to them or ZERO DRIVERS. The same consideration is assured for customers:- Poor behaviour by a subcontracted driver whilst representing the brand will not be tolerated and passengers are invited to notify ZERO DRIVERS immediately of any cause for concern related to their personal safety or dignity. To maintain the integrity of the service and to ensure legal compliance, customers are respectfully asked to be aware of the legal ramifications of requesting personal driving services directly from drivers. You may wish to check the validity of any insurance or state related licensing the driver has which authorises him or her to provide you with personal driving services, especially in the event that the transaction is acquired in cash. The information we collect in regard to your use of the service is retained for the exclusive use of ZERO DRIVERS and its contracted drivers - in order to provide you with that service; and to refer to for future bookings in order to assist with the booking process. If you are found to be in violation of the Company’s Terms and policies at any time, as determined by ZERO DRIVERS, in its sole discretion, the Company may warn you or suspend or terminate your use of our Services. The Company may, in its sole discretion, cancel any outstanding Services and not provide a refund to the Customer. Please note that we may change our Terms at any time without notice, and pursuant to the Terms, it is your responsibility to keep up-to-date with and adhere to the policies posted here.